School picture day is Tuesday, October 30! An order form should have gone home with your child already, and you can also order online. 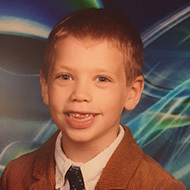 Just go to mylifetouch.com and enter the Picture Day ID for Seth Boyden: AL208190Q0. We’re also looking for volunteers to help kid-wrangle on the big day. Spend an hour or two in the auditorium keeping kids calm and ready for their close-ups! You can even pick a time slot when your kid’s class will be there! Pick a time on our Sign Up Genius. This entry was posted in School, Seth Boyden News, Volunteer Opportunities. Bookmark the permalink.